Jay "Young Jeezy" Jenkins was taken into custody by Mountain View police with the help of police in Irvine at the Verizon Amphitheatre. MOUNTAIN VIEW, Calif. -- A hip-hop singer who performed at a concert Friday in Mountain View where a man was shot to death was among six people arrested Sunday on suspicion of illegal firearms possession at a theater in Irvine, Mountain View police said Monday. 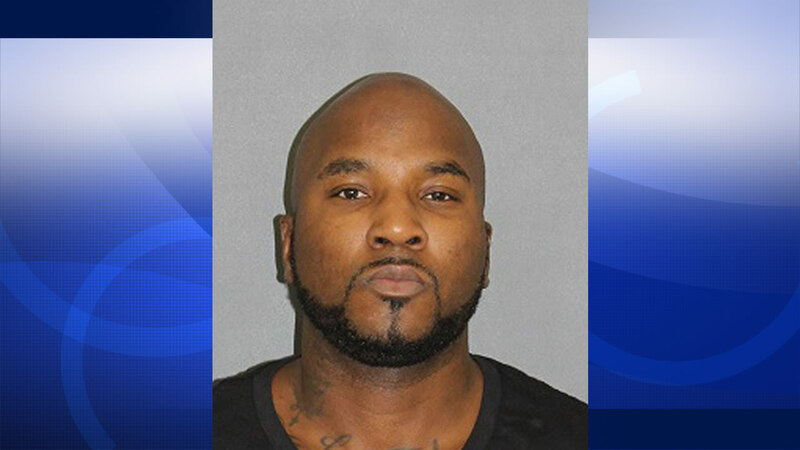 Jay "Young Jeezy" Jenkins, a hip-hop recording artist on a concert tour with headliner Wiz Khalifa, was taken into custody Sunday by Mountain View police with the help of police in Irvine at the Verizon Amphitheatre, Sgt. Saul Jaeger said. Police obtained search warrants at the Irvine theater for Jenkins and five others during an investigation into the homicide of 38-year-old Eric Johnson, who was gunned down at the Shoreline Amphitheatre in Mountain View during the tour's concert there Friday night, Jaeger said. At 11:05 p.m. Friday, police responded to many calls about shots fired at the concert venue at 1 Amphitheatre Parkway. Johnson, of Orinda, was transported to a hospital where he was pronounced dead, police said. No one has been arrested in connection with Johnson's death, Jaeger said. Jenkins was one of the performers at the concert on Friday, according to Jaeger. The others arrested on suspicion of illegal firearms possession included Kena Marshall, 39, Peter Maynard, 38, David Kuniansky-Altman, 31, William Gilmore, 48, and Alexa Beason, 53, Jaeger said. Mountain View police are requesting assistance from any witnesses to Friday's shooting, including those with any video, photos of the shooting or the moments leading up to it in the backstage area of Shoreline, police said. For details on the shooting from Mountain View police, click here.